It seems like life is running faster than time itself. Everybody wants to achieve the maximum in the minimum possible time. This burdens up stress on everybody. And this stress continues to interfere with the safe driving skills of people. Las Vegas has everything to keep people excited and, on their toes, always. This is overwhelming and the reason for car accidents in Las Vegas. 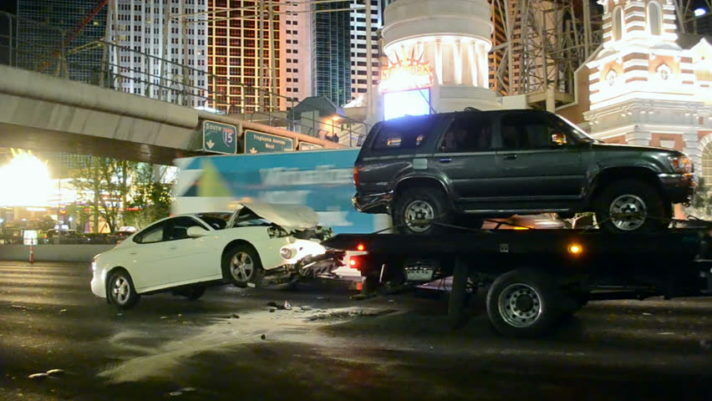 If we believe the stats, fatal car accidents in Las Vegas hit a 10-year high in the year 2018. Rush hours during workweek experience more of such fatalities. Everybody remains in a hurry to either reach office or home after a stressful day. It is extremely important to stay calm and remain focused. The minor change in your attitude and perception can save you in getting stuck with road rage or legal claim battles for compensation, in case of car accidents. There are things which you might want to follow, to lower the number of auto accidents. Completely avoiding the rush hour traffic is the best deal. This may sound like an extra effort, but it is worth it. If your job asks for normal business hours, or you have children who use a shuttle to and from school, avoiding rush hour traffic entirely may not be possible. But it is far better to avoid rather than being a victim of a car crash or road rage. With a little planning, you may able to avoid the high-traffic areas, even though you got diverted to a lengthier route. Getting ready early on time can make a significant difference. Keep your calm if you couldn’t avoid but become a part of the traffic. Diverting from a susceptibly high traffic area is far better than getting stuck for hours in non-moving traffic, even if the alternative route may have a longer distance than the normal way. This will ease traffic stress on the expected route and in every way, make you reach on time. People are getting short-tempered and too easy to lose their patience. During stressful driving times, always drive defensively. Be cautious, even in normal traffic situations. Be wary of the movements of the cars around you. Maintain a minimum safe distance between your car and the vehicle in front of you. Make use of correct car signals while changing lanes or making a turn. Same holds true for other drivers; keep a careful look on the signals from the surrounding cars. Aggressive driving results in behavior such as excessive honking, cutting other drivers off, tailgating, non-verbally challenging another driver for the race, excessive speeding and improper use of lanes. This leads to road rage and things may turn ugly. The best policy is to not to be a part of any such harmful activity. Avoid getting into a verbal argument with the overwhelmed drivers. Let them pass quietly. This will save you much of the time and avoid any unnecessary occurrence of events. Irrespective of your age, be a part of the technology that has made driving safer. The safe driving apps can help you enjoy driving, more than ever before. These applications can send notifications regarding unsafe behavior and locations. Government officials are investing money in big data analytics to understand the nature of the occurrence of accidents. With every minute stats and behavior study, they can rely upon accident prediction technology and improve Las Vegas’ most dangerous intersections. The arrangement of emergency responders to these intersections, even before the occurrence of a crash, can save a lot of lives. At an individual level, understand how technology works, such as using traffic maps, to avoid heavy traffic route. Little things can make a huge difference.